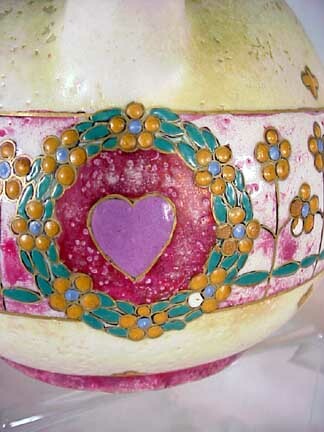 Pottery from The Drawing Room of Newport and The Zsolnay Store; # 3756. 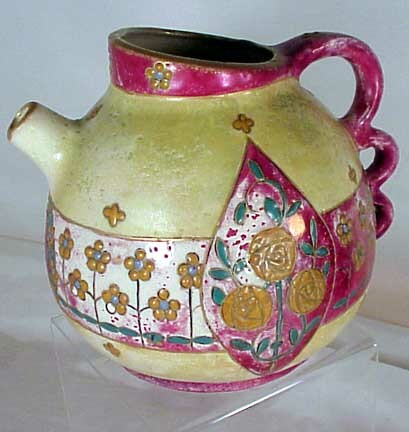 An Amphora Art Nouveau Secession Style Pitcher. 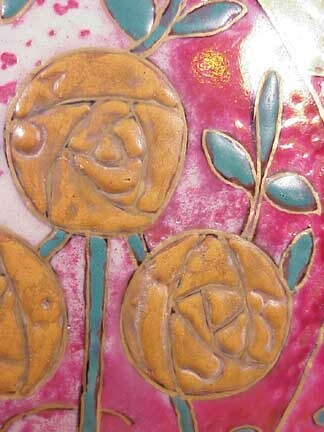 Antique Pottery from The Drawing Room of Newport. # 3756 is an Amphora Factory Art Nouveau Pitcher. 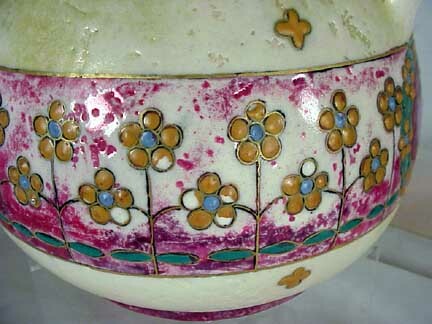 In the Secession Style, c. 1910. Mark from the Amphora Factory. Size 6.5" tall. 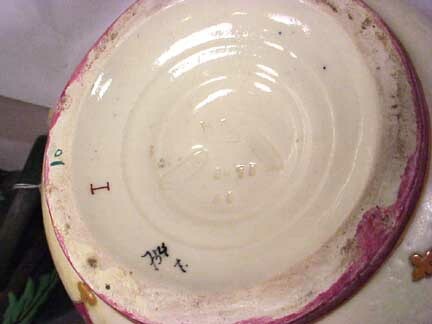 Condition: apparant paint loss to the center maroon band (all the way around the pitcher)and enamel petal loss to 9 of the flowers. No restorations. 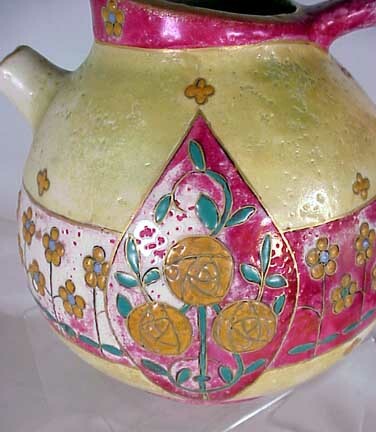 The enameled roses are in the Wiener Werkstatte style which Paul Dachsel used in many of his designs.Standard Amphora factory marks of the era plus under glazed painted numbers: "754" "7". Incised numbers: "3975" "46". Price: $250.00.